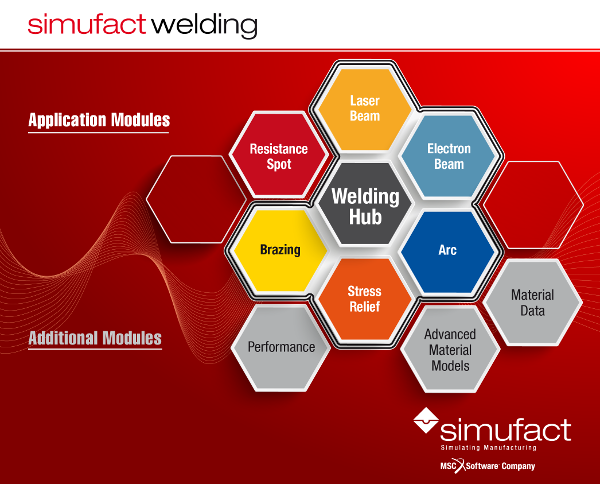 Simufact Welding is a modular product line, which offers comprehensive functionality for modeling elastic-plastic behavior of materials and structural welding simulation. The software covers different welding processes. The Welding Hub provides essential functionality needed for thermal joining as well as basic functionality needed for all other application modules. Simufact Welding´s Advanced Material Models module provides complex material models for residual stress calculation and evaluation of strengths. Watch this promotional video and gain first insights into Simufact Welding fields of application, use cases, and GUI impressions. 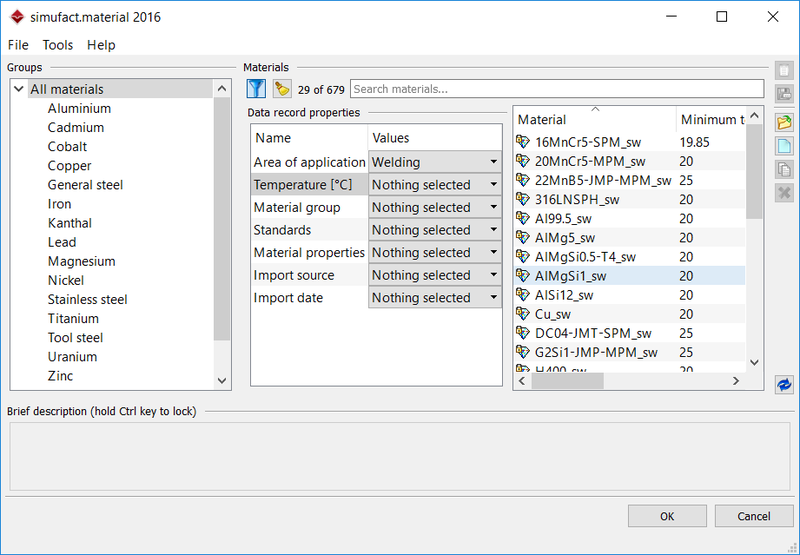 The latest version of Simufacts solution for the simulation of welding processes offers a number of improvements regarding software stability, speed, and ease of use. We are especially proud of our "in-house" meshing technology, which convinces with its ease of use. Learn more! Gain first insights into the welding structure simulation and listen to our 30-minutes overall webinar introducing Simufact Welding 8. What´s the value of Simufact Welding? Simufact Welding is designed for modeling and simulation of a wide range of thermal joining processes by means of structural welding simulation including usual arc and beam welding processes as well as brazing. 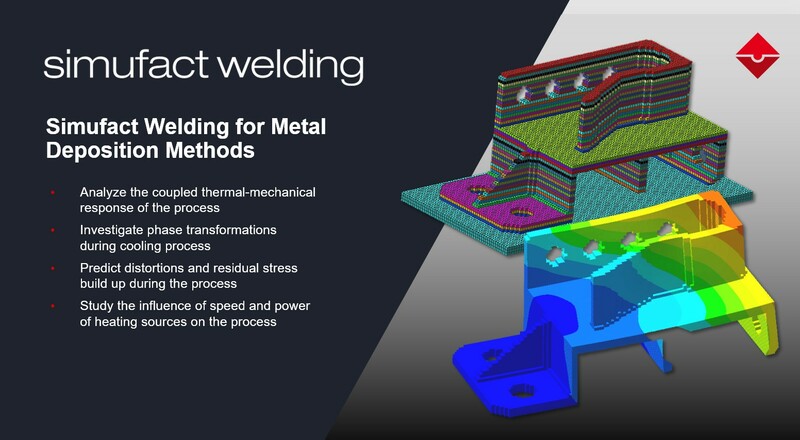 Additionally, Simufact Welding provides possibilities to model heat treatment processes, variations of cooling and unclamping setups as well as mechanical loading of welded structures. Very biefly: Gain time and safety in the design of your welding processes. 8. … verify the quality of welding seams, i.e. 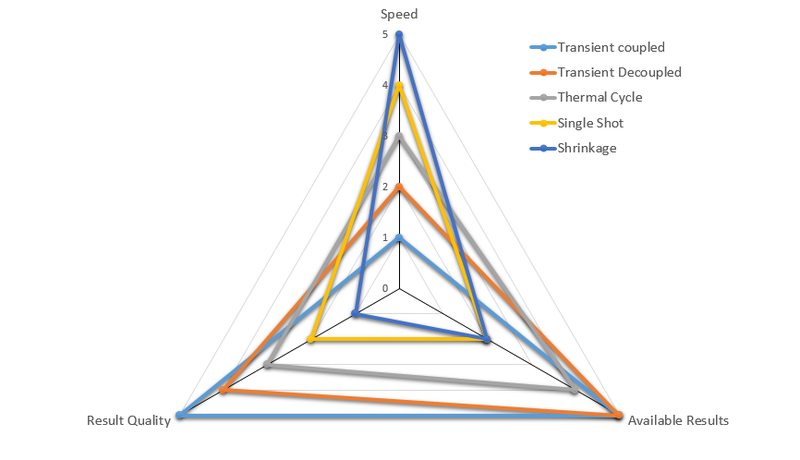 by calculating nugget sizes, brittle metallurgical phases, hardness, and effects of preheating. In 2016, the German trade magazine MM MaschinenMarkt has honored the 'best of the best' with the high-ranking "Best of Industry" industry award. Welding simulation in Simufact Welding uses the finite element method. This approach is especially suitable for calculation of elastic-plastic material behavior with hardening, thus being well suited for structural welding simulation. Complex processes during welding – induced by an arc or by evaporating metal inside a keyhole - are not taken into account. 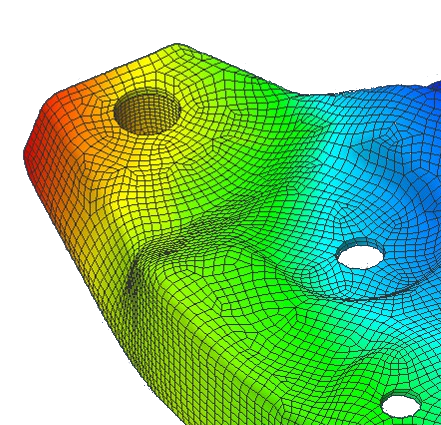 This means that process stability and weld seam geometry are not results of a simulation but input parameters. Structural welding simulation calculates effects of heat input of the welding process from a mathematical description of heat flux during welding, namely, a description of the melt pool isothermal line by an equivalent heat source. Complex process details such as the kind of the laser used or powder in a submerged welding process are neglected. Many of the over 150 existing welding processes can be investigated by Simufact Welding. One of the most relevant welding processes is Resistance Spot Welding (RSW), a widely used process in automotive assembly and general sheet metal working. 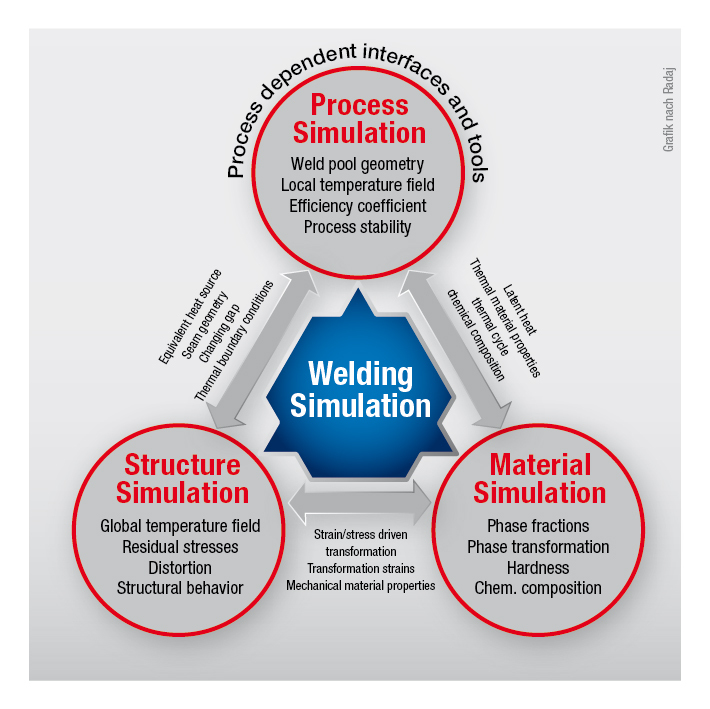 For RSW simulation, Simufact Welding covers both aspects: the simulation of structural welding as well as the simulation of the welding process. Structural welding simulation uses the finite element method to calculate global and local impact of heat input on a welding assembly. Usual results are distortions, stresses and resulting material properties. How can Simufact Welding support you with the design of a welding process or an assembly? Simufact Welding includes scalable simulation approaches for your individual needs and goals - available in one single GUI. Your benefit: One single GUI for the entire simulation process, there is no need to skip between different software applications. Simufact Welding provides a unique scaled simulation approach out of one GUI, scaling between detailed results, but rather slow calculation and coarse results, but fast calculation. The scalable approach gives you the flexibility to choose the right simulation approach for your individual sitation. For certain result quality the model complexity and the calculation time can be scaled between several weeks and few hours. Simufact Welding is a modular software, subdivided into application modules providing welding process-specific functionality and additional modules providing material data and parallelization technology boosting simulation performance. Core functionality is provided by the Welding Hub and its associated Thermal Joining application modules, offering the possibility of pre- and postprocessing as well as calculation of thermal joining processes. Additionally, a Resistance Spot Welding module is available. An optional bundle with MSC Apex Modeler provides CAD and meshing capabilities. The capability of transferring simulation results from one manufacturing step to subsequent steps is a prerequisite for result accuracy in the entire simulation process chain. In combination with Simufact Forming it is possible to model entire process chains, for instance forming processes on components that are welded in the next step and vice versa. Data exchange between Simufact Forming and Simufact Welding allows for stepwise calculations that are based on previous results. This approach makes it possible to calculate welded assemblies, or to carry out process chain simulations. Therefore it is possible to integrate welding with pre- and post-processing in a common numerical framework. The easy data transfer allows consideration of the material history with respect to a previous forming process, as well as the fatigue response of a calculated weldment. This video gives a brief introduction into welding simulation in joining and assembly with Simufact Welding. First part introduces the aims of Simufact Welding and in the second part offers insights into the practical side of Simufact Welding with different examples. Many customers, including leading automotive OEMS like Audi, Volkswagen, Daimler, Honda, Tesla, and others, Tier-1 suppliers like ZF, Bosch, Magna Cosma, Luk, Benteler, aerospace companies, general manufacturing companies like Siemens and Shanghai Electric, as well as a large number of universities worldwide are employing Simufact welding simulation technology for productive use or R&D purposes.